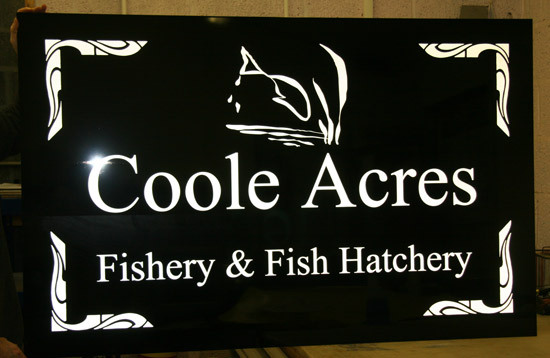 The Sign Maker for the very best in Bespoke Signs & Signage :Reflective signs & Sign Boards - can easily be seen at night. 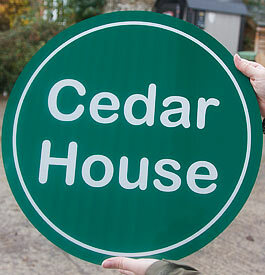 Be seen day or night with these tough reflective sign boards. These boards really stand out at night with the reflective light of a torch or car headlight. 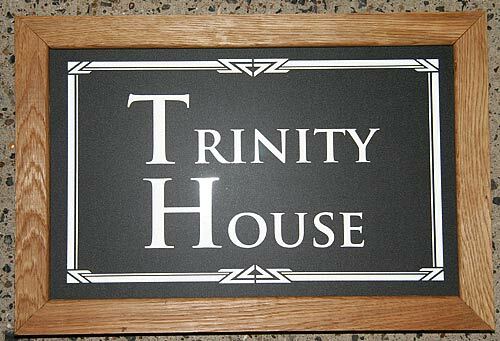 The sign boards are durable, lightweight, extremely flat and rigid and do not corrode. The engineering grade reflective lettering is applied to the boards once you have chosen the font, board size and colour. These signs are easily spotted day or night. Gloss black, matt black, mahogany wood grain effect, green marble stone effect, gloss blue, matt blue, gloss green, matt green, gloss red, matt red. The image to the right should help you work out the size your sign needs to be. Borders - Simple line orders can be added at no extra cost. Our carpenters can make up oak frames to surround the sign. These are very attractive and can be screwed to a wall or hung from a bracket. They are finished in either a commercial satin finish varnish, osmo oil or they can be painted in any of the stock colours although black and white are most popular. 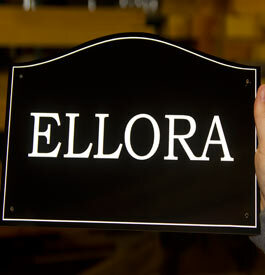 Our team at The Sign Maker looks forward to helping you with your reflective sign.